After Thanksgiving, one of the most exciting things to look forward to is Christmas time. 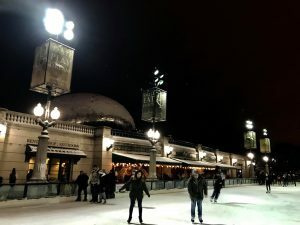 Although I personally do not celebrate Christmas, the atmosphere that Chicago brings during this holiday season is amazing and you should definitely take advantage of the many fun things to do in the city, especially the Christkindlmarket! This year will be the 23rd annual Christkindlmarket where each year, people from all over the world visit the Christkindlmarket. 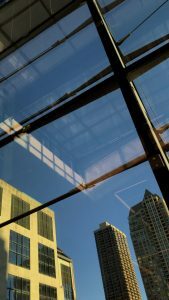 The outdoor market in the Chicago Loop has become so popular and loved that any Chicagoan will tell you that they could not imagine the city without it. The Christkindlmarket is no longer just a German tradition, it has become a Chicago institution. The unique shopping experience, typical German food and drinks, as well as diverse holiday entertainment make the Christkindlmarket Chicago a preferred and popular destination. In 2016 and 2017, the Christkindlmarket opened two other locations at Naper Settlement and Gallagher Way in Wrigleyville to rave reviews. 2018 marks the inaugural year of the Christkindlmarket Milwaukee at the entertainment plaza outside Fiserv Forum. Admission is always FREE! 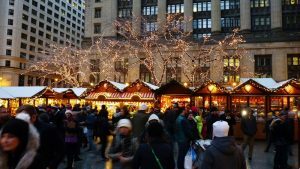 The Christkindlesmarkt is inspired by the Christkindlesmarkt in Nuremberg, Germany, which began in 1545, the Christkindlmarket Chicago brings a cherished German and European tradition with international flair and local charm to Chicago. 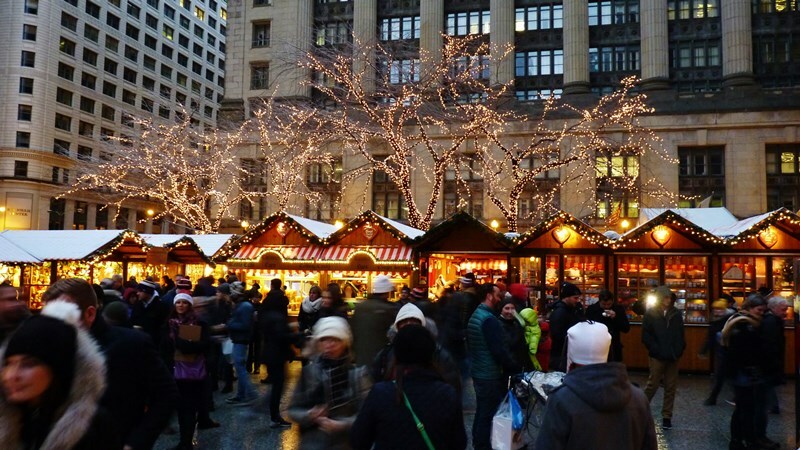 Chicago’s largest open-air Christmas festival was first held on Pioneer Court in 1996. The Christkind, a fairy-like being dressed in gold and white robes with a crown upon her golden locks, is the namesake of the Christkindlmarket Chicago. Christkind folklore dates back to the 1500s and stems from traditional customs: Parades during the holiday season were guided by one “grand” angel, the Christkind. Since then, and still today, she is the bearer of gifts to most children in German speaking countries, much like Santa Claus is in the United States. Traditionally, gifts are exchanged December 24th and delivered by the Christkind, who leaves gifts under the Christmas tree and disappears before the children can catch a glimpse of her. If you guys ever get a chance, you should definitely check it out. It will be open until December 24th. Loyola loves a good celebration. And we also love winter! So that’s why, every year, we set up a big ol’ holiday tree in the middle of our Damen student center. Yes, we are a religious school in name, so it’s called a Christmas tree and it gets blessed, but it’s mostly there for the pictures students trip over themselves to take pictures in front of. 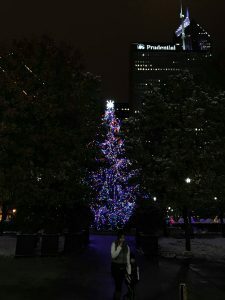 Along with the holiday tree comes a great celebration when the lighting goes on and the string lights across it go on (you know, for the pictures.) That’s today! It’s a fun, free, public event that always clogs up walking traffic a little, on account of the crowd it gets. I mean, Loyola rolls out a chocolate fountain for it. Who wouldn’t stop by, just for a bit? Santa Claus also makes an appearance and sits on a chair in front of it (you know, for the pics) but he’s not there all the time, just at the Tree-Lighting Event. After it’s over, you know students will be all over posing in that thing! 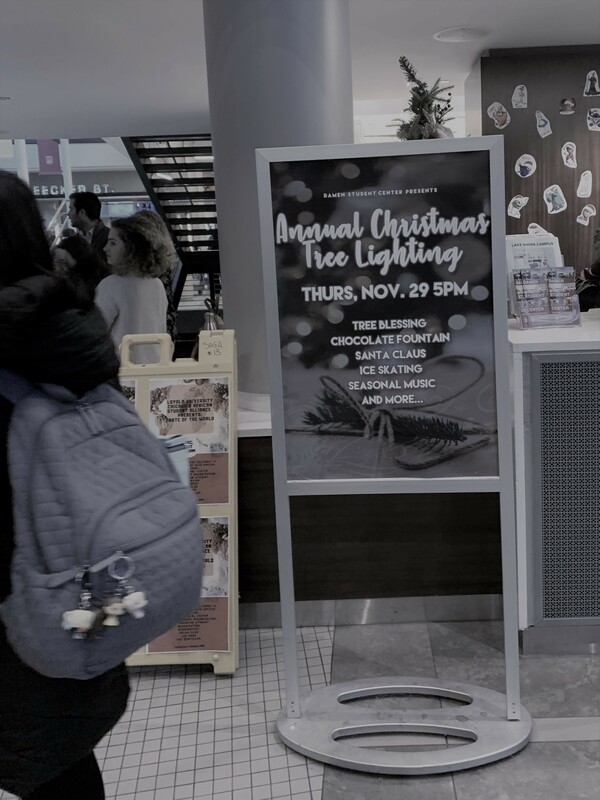 This Tree-Lighting also marks the start of when the Damen Student Center can start playing holiday music for all hours of the day. Just kidding, it doesn’t play music all the time, just… most of the time. If you walk through there at eleven o’clock in the evening after a theater performance or an organization potluck, there will probably be students there, concentrating really hard but not hearing anything. Later than that, and it would be just spooky to hear, I think! 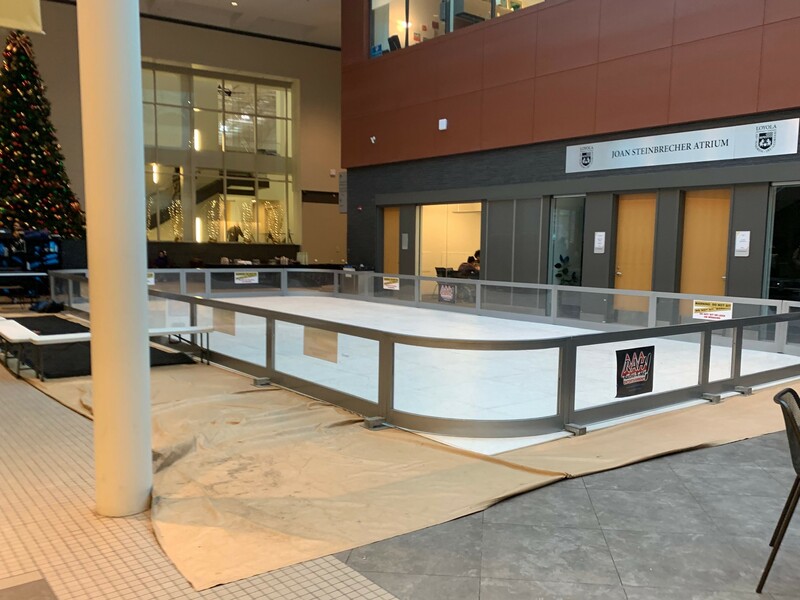 What has got to be my most favorite aspect of the holidays at Loyola (besides the cute garland decorations everywhere, even in the gym) is the fact that we remove approximately half of our tables and put in… an indoor skate rink! I got a picture of it empty, before people start flooding onto it, so you can see how big it is. It’s free skating, as opposed to the cute (but probably colder) skating you can do downtown right next to the Bean. If you’re visiting Loyola during this wintry season, don’t worry – this charm is year-long! It’s just that without the lovely decorations of the natural world, Loyola adds the holiday touch, and it sure does make students smile. Trust me, I’m one of them! Campus Culture: What are the clubs like? Loyola’s students can be described as highly-involved, passionate people who are always doing something! Well, to be honest, some students aren’t about that life. Some people have their core group of friends they stuck with since high school, or from freshman year, and they go to classes, and that’s it. Not being engaged with the student activities life is totally normal and a-okay. But for the potential students, whether or not joining clubs is in your plan, I thought I’d tell you a little about what it’s like! Of course, every club is different. But I’ll try to give you the basics so it makes sense. 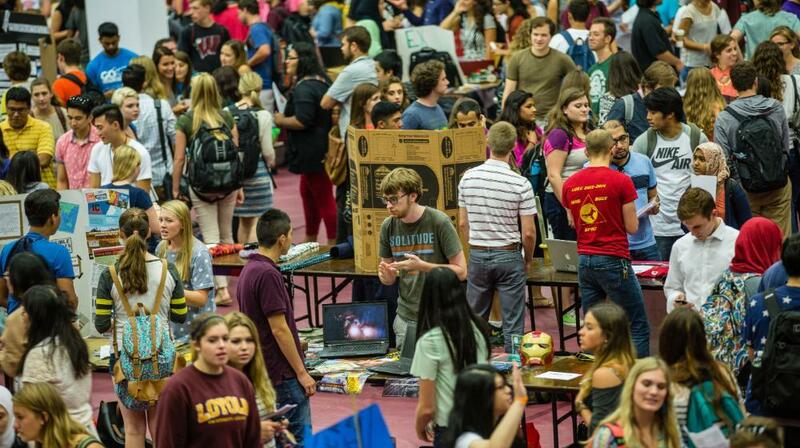 The first step of joining a club, or even knowing it exists, is going to the Organization Fair! It takes place in the first week of every semester, and every club shows up. Clubs get a table and then from there advertise themselves however they want, whether it’s with a trifold of information or by handing out fliers, and so on. 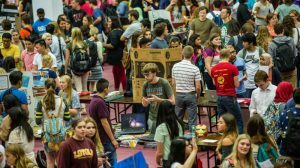 It’s a multi-hour phenomenon so students of all schedules, ages, and levels can flit in and out and prowl the tables to learn about what you can do at Loyola. From the Greek Life section to Field Hockey Club to Quidditch Club and the Classics Club, everyone shows up. So if you’re even a vaguely interested student, you gotta go! Or get a trusted friend to go and pick up people’s fliers so you can decide yourself, but without all of the crowdedness. I’ve seen plenty of people do that. After that, well, it’s a matter of showing up and showing out. Maybe you got on someone’s email list, or their paper told you that their first meeting would be the next week. Explore! Many people go to one or two meetings of clubs and never show up again, and that’s alright. Other ones show up halfway through the semester, and most clubs are okay with that too! Truthfully, the typical Loyola student is in more than one club anyway. I was in six my freshman year. Although I couldn’t give my all to all of them, I had a good time any way. All of the clubs are mandated to have a Constitution and an Executive Board to keep them running, which means smooth officer transitions and a pretty easy sense of consistency. Each year new presidents don’t generally have to start a club that has been around for fifteen years from the beginning again. If there’s any issues, the Student Activities and Greek Affairs department at the school can help out, whether it’s with budgets, event planning, or just recruiting. Plus.. they can also be used if you want to start your own club! Many people might find that they have a hobby but there isn’t a club for it. It can be made, no problem! 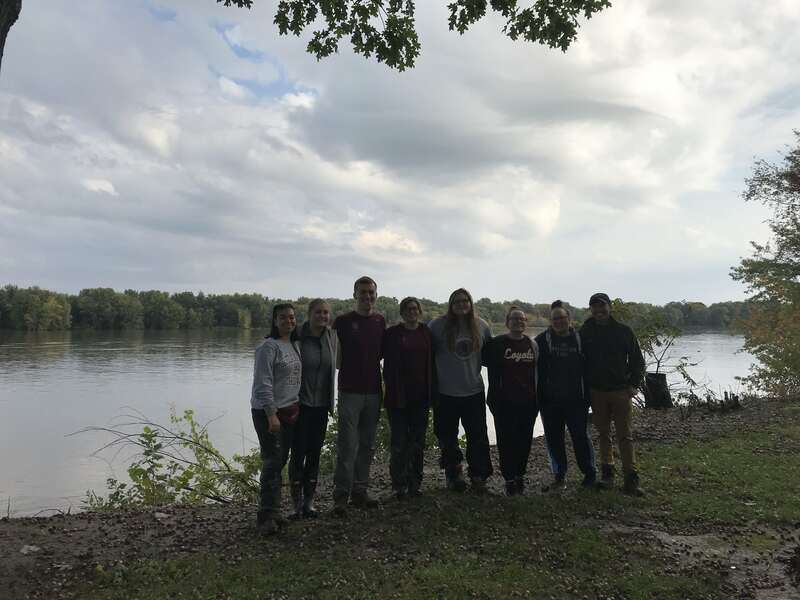 Just this year, Loyola’s History Club was re-founded… we haven’t had one for many, many years, but a few dedicated people have given it new life. Looks like Christmas is already rolling in at Loyola. I was already smiling when on-campus cafes like Center Stage and Nina’s introduced new holiday drinks and the lampposts around campus were decorated like Christmas trees. 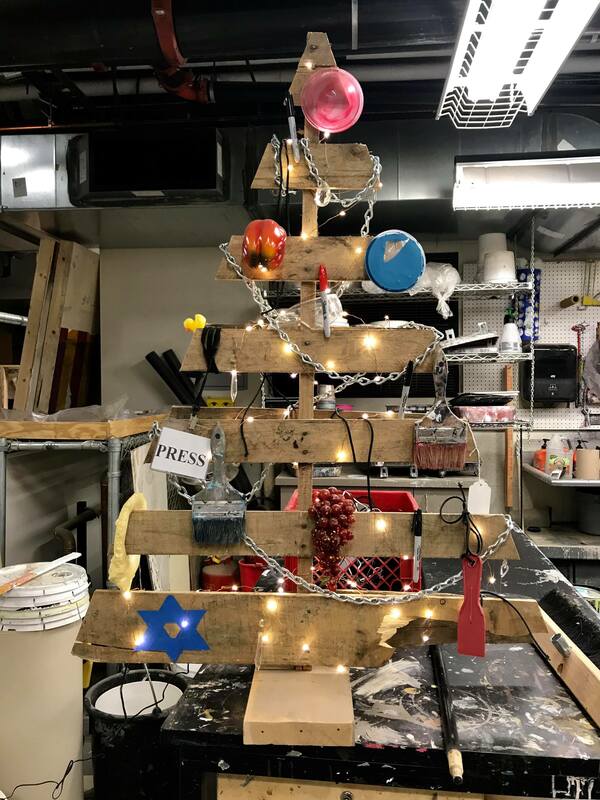 But I walked into the Theatre Scenic Shop in Mundelein for my scenic construction class today and saw that my professor had put this together! And soon, the Loyola Christmas Tree will be up in the Damen Student Center! 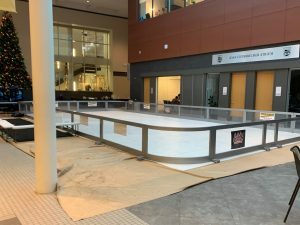 There were a lot of DIY present activities organized last year, as well as a hot chocolate stand and indoor ice rink! I hope there’ll be more this year, I’m getting excited just typing about it! 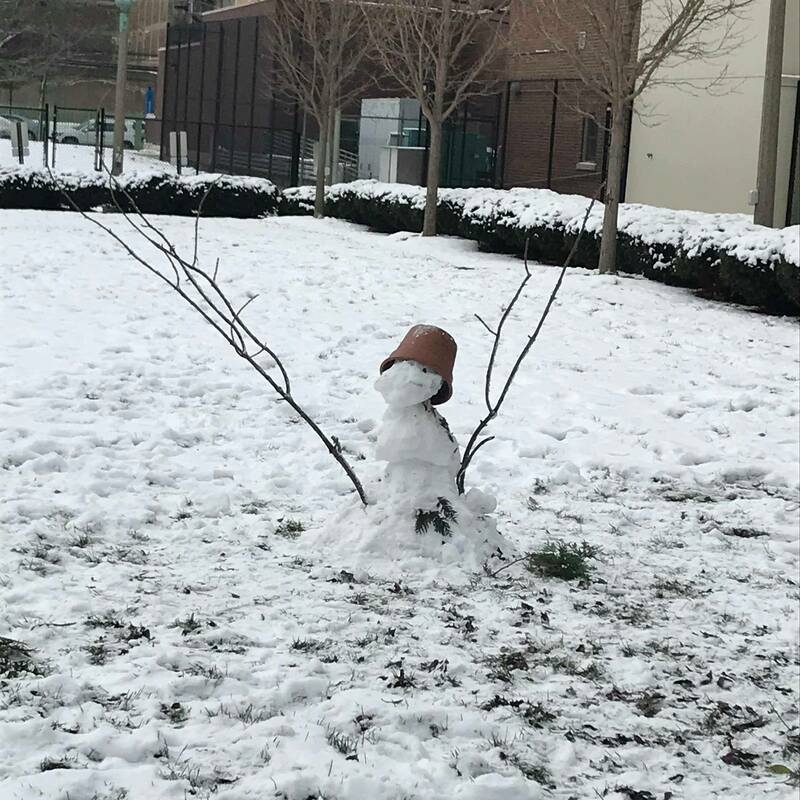 A snowman also greeted me on the way to my morning class on the small field near Denobili Dining Hall. I guess I’m not the only one blasting Michael Buble’s Christmas album in November! Such a ‘Bler: Study Break? What do I love about studying at a university right near downtown Chicago? It only takes a quick hop on the L to get my head out of a creative block and/or (haha) fatigue. With my 3 areas of study (Communication Studies, Theatre & English), I always end up moving into Loyola’s Art studios/shops towards the end of each semester. Then comes hours after hours of crafting or typing of new pieces. 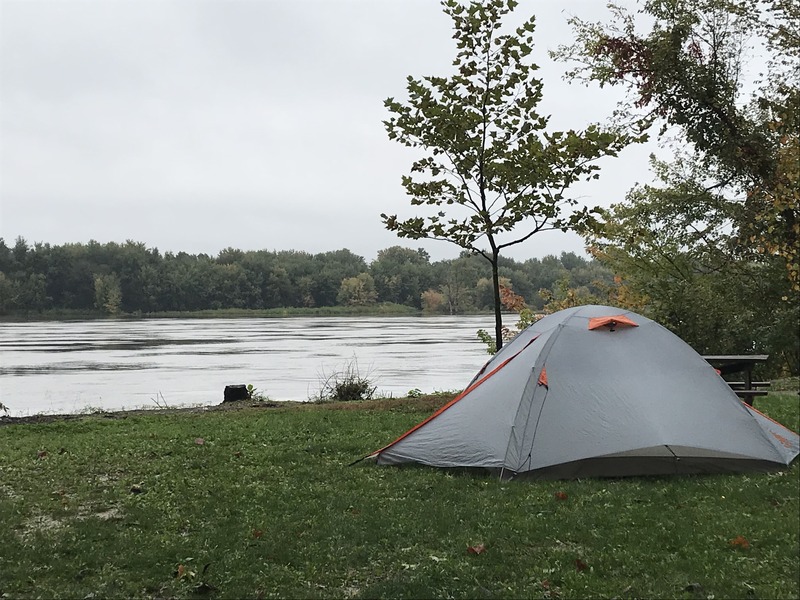 Eventually the brain calls for a different adventure. The ice rink at Millennium Park is always a fun place to chill (literally). 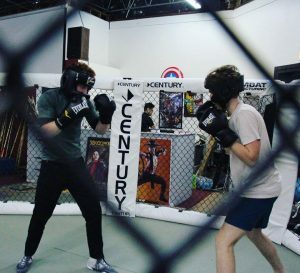 The price is very college student budget friendly and it only takes a few rounds to forget all that stress and exhaustion (mainly cause you’ll be focused on new brusies from skating haha.) But you honestly cannot feel anything other than refreshed on an ice rink, because if you think too much, you’ll fall. And look how cute Cloud Grate (the bean haha) is all snowed up! Take some time to cool off, and maybe even a stroll around Millennium Park itself afterwards! 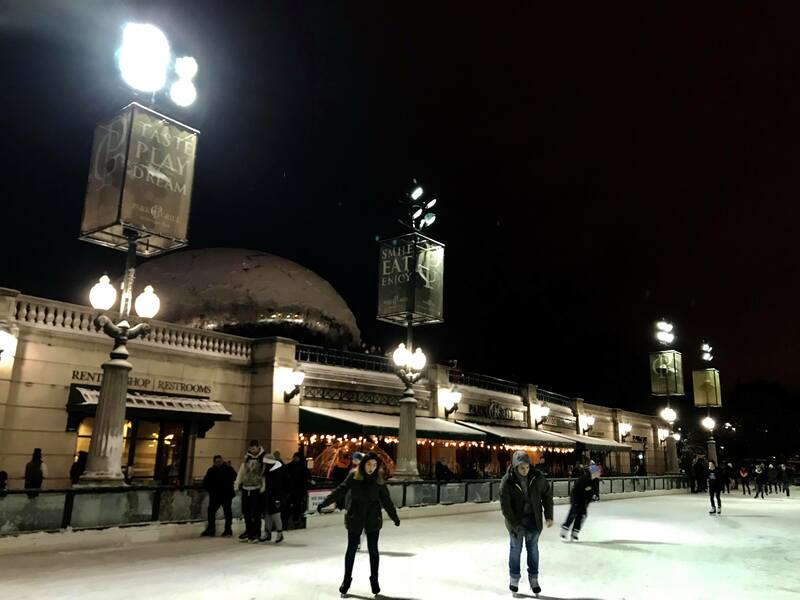 The rink is yours until 8:30pm! The last of my Thanksgiving break actually ended today when my boyfriend waved see you later on O’haire International Airport. I’ll see him in a few weeks for winter break, but for now, it’s full force finals fun. Here’s one of my secrets to treating oneself whilst treating oneself. The 8th floor of Loyola University Schreiber Center. Disclaimer: I am not a business student, but my good friend Maddie who is, actually showed me this spot. It is welcome to all. 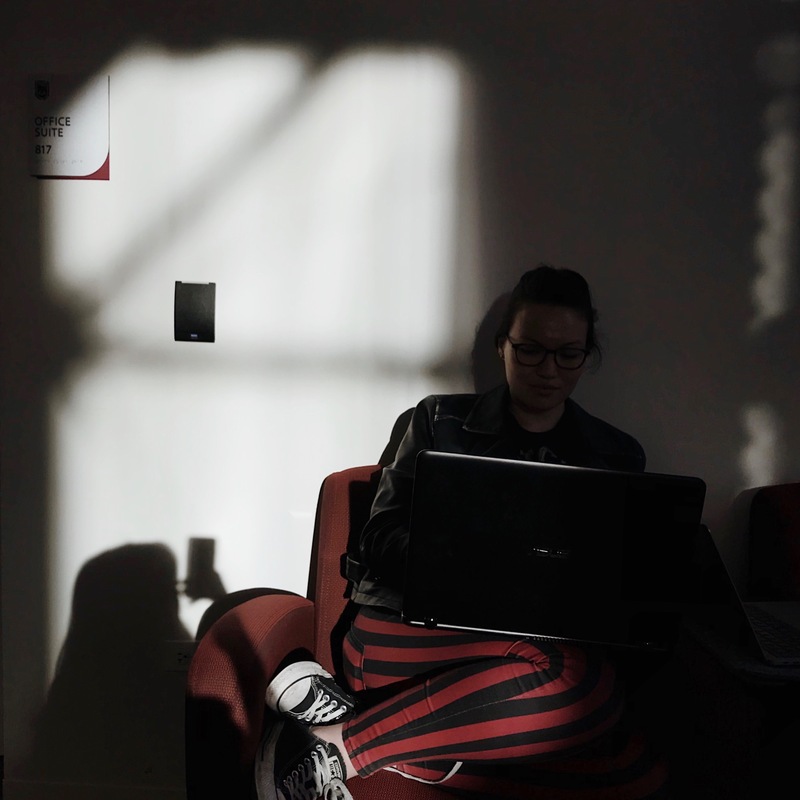 There are plenty of comfy singular sofas and low tables or higher long tables if that you’re your concentration. The floor is quiet and spacious and breathes an air of relaxed productivity. However, perhaps the best part, are the huge glass windows that wrap the city of Chicago around surround you. The sunlight shines through these giants, and if you’re extra lucky, casts onto the walls. My favourite time is 5pm, 4:30pm during day light savings. That’s when it is the prettiest. I used to just study in my dorm, which has nice windows too, but I somehow always end up feeling like a hermit. Studying around others in an open space also makes homesickness more bearable. I guess the tip here is to hop around. Don’t be shy, there’s definitely more hiding spots out there. Free coffee is also right next door, but more on that later. Last thanksgiving, my boyfriend Jacob visited, and we were invited over by a lovely family-friend Vietnamese couple for lunch. They made us a whole spread of Vietnamese delights and it felt like we were back home for a few hours. He visited again this year, tagging his roommate Kent along as well, and we had our first Friendsgiving. One of my closest friends on campus Maddie and her boyfriend Nick cooked up a huge dinner, with an actually turkey and everything! We were also joined by my roommate Amanda, who though was up to her ears in finals revision was able to pass to watch me try cranberry sauce with mashed potatoes for the first time. Jacob, Kent and I brought a bit of our own tradition by – spring rolls. 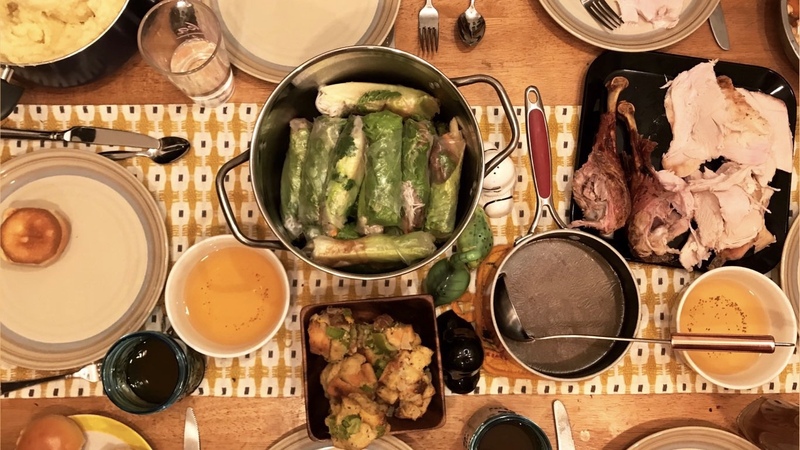 Earlier that day, we went grocery shopping in Argyle – essentially the Vietnamese district of Chicago – and then spent the afternoon preparing. Our friends really enjoyed the treat! I still can’t decide which part of this whole experience I love most. The incredible food, being surrounded by my favourite people, the warmth or how it all came together though we each came from such different parts of the world. Maddie is from California, Nick is from Ohio and Amanda is from Chicago. Jacob, Kent and I are all from Hanoi, Vietnam but very different districts. But for this special occasion, we were together, watching the boys play Overwatch on the TV and digging into another slice of pumpkin pie. Love to get a little festive, get jingly with it? 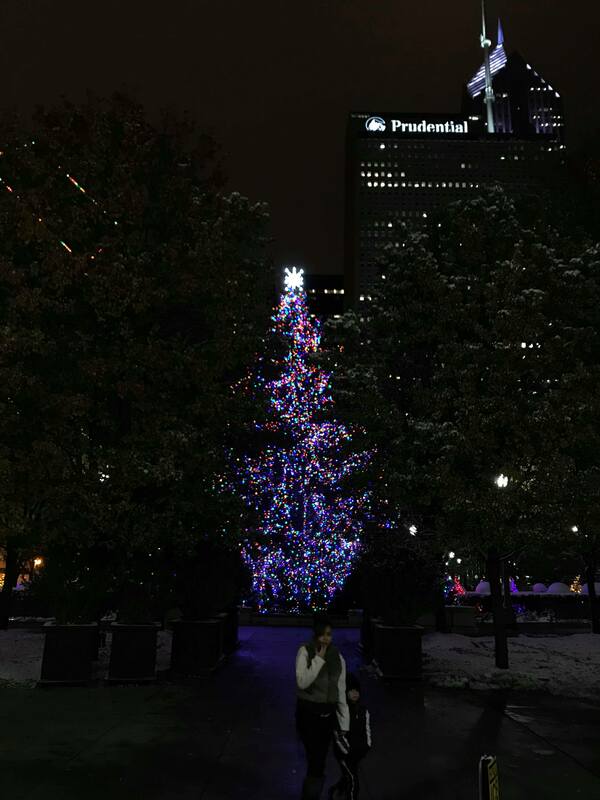 Even if you don’t celebrate Christmas, there’s a thousand and one ways to light up the dark nights here in Chicago and feel the cheer and good vibes of the holiday season. My favorite? The Holiday Train! That’s ride, for the price of one ride on the L (or your U-pass, if you’re a student) you could ride on the CTA L, but the L decked out to the max. It’s got lights. It’s got Santas. It’s got festive decor as far as the eye can see. It’s got a schedule, so you can check it and time your ride just right to feel the fun! It costs nothing extra to the rider and is just a way for Chicago to make you smile. Word on the street is that it’s been a tradition for over 25 years now, and started as a way for the CTA to bring care packages and food to people in need. 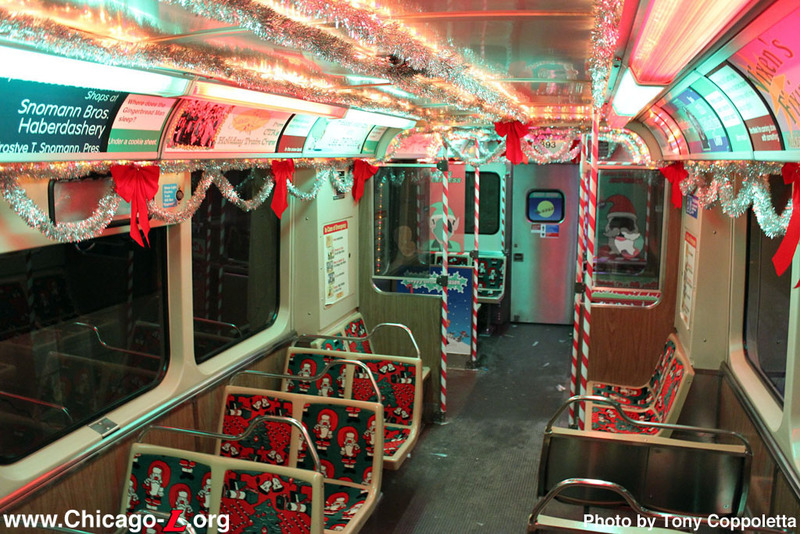 Now there’s not only a fully decorated train with Santa on it, but there’s a ‘Elf Workshop’ one too that runs as well, making it twice as likely for you to catch one, and twice as fun! 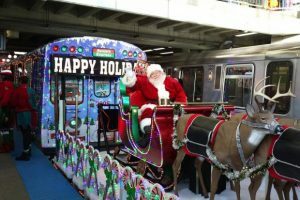 Plus there’s a holiday bus roaming around Chicago – well, I say roaming, but it’s actually just following its regular route – so you can be festive any way you ride. For a fun video featuring the train, check out this youtube link to see something from someone who’s actually ridden it a few years ago and what it looked like then. I for one haven’t been lucky enough to catch it yet, although all of my roommates have! 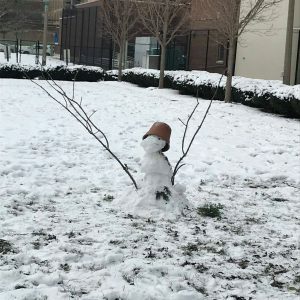 If you come to visit Loyola this winter, I highly recommend trying to get on it. What a way to feel the season!